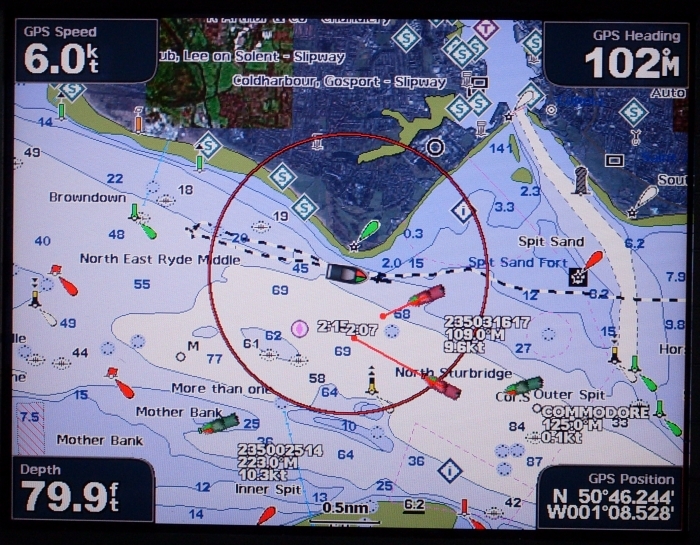 The following images show how a real-life situation is displayed on a chartplotter screen when you have an AIS engine connected. My boat is in the centre of the red “warning ring” which I have set to a distance of one mile. Whenever the plotter receives a signal from a vessel which is projected to enter the ring, an alarm will sound and a warning message is displayed. I have cancelled the warning message so you can see what is going on. The vessels that are a potential danger are displayed in red, with a projected track also in red. Scroll down to see the actual ships. 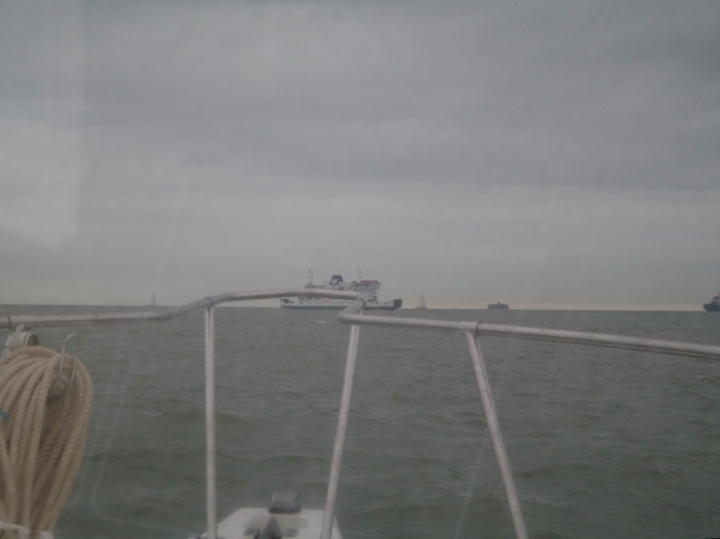 I am returning from a fishing trip in Stokes Bay (you can see my dotted line track), and ahead of me is the Isle of Wight car ferry doing 9.6knots. The number displayed is the MMSI number so I could call the vessel with a DSC radio if I needed to. 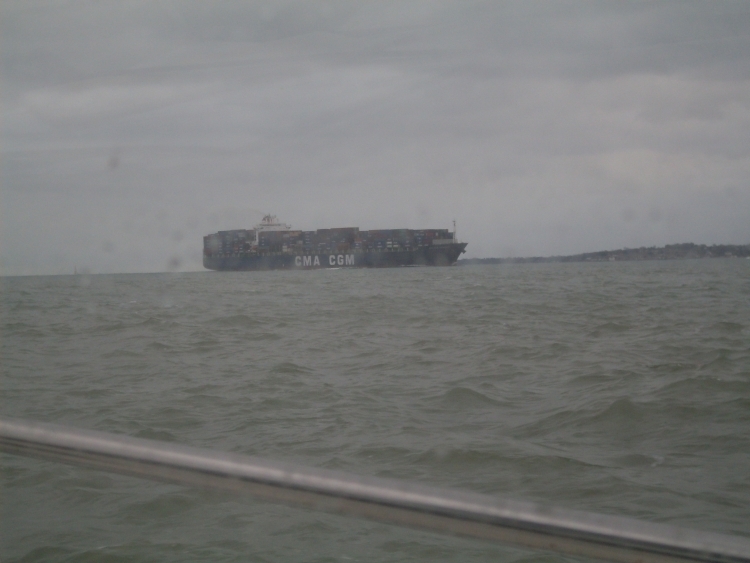 The other vessel is a large container ship heading up the Solent at speed, on its way to Southampton docks. The screen does not display all the data for all vessels if it would make the screen too crowded, although you can switch to a full list of ship data if you wish. The green coloured vessel icons are also ships but they do not represent a threat as they are outside the warning ring. Their transponder data is also displayed however.